What Shingles Should You Get for Your Home? The pitch of your roof determines the shingles that are easily visible from the street. Drip, drip, drip: you need a new roof, or at least a shingle repair. 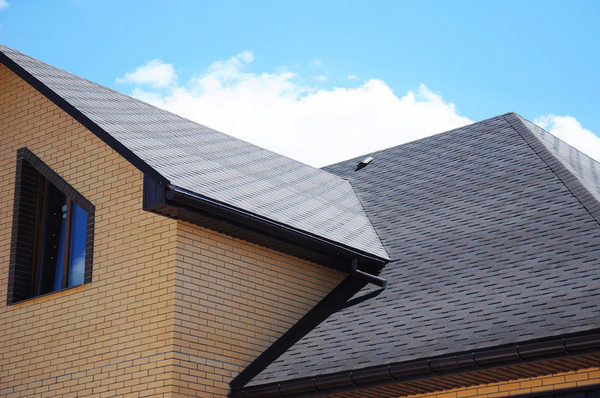 If you’re considering a roof replacement, you need to understand your shingles. What kinds of roofing are available to you, and how can you choose the right roofing for your home? A roof isn’t just a single object. It’s multi-layered construction that has shingles as the top layer. At the very least, your roof consists of decking, an underlayment, and the shingles themselves. It may also incorporate structures such as a gutter cover or gutter heating. The role of your shingles is to provide an initial line of defense against the weather. This means that when leaves, small branches, snow, hail, and rain hit your roof, your shingles are there. What shingles should you get to make sure that your home is protected and that it looks good as well? When you’re shingle shopping for a roof replacement, there are a number of different types of shingles from which to choose. There are organic shingles that are made from recycled items such as wood chips, recycled paper, and rags. This reduces the ecological impact of the materials used in the shingles. However, according to Home Advisor, “organic shingles are easily prone to moisture and saturation, which leads to more dangerous issues — especially in areas with high humidity or a lot of freezing temperatures.” They are not as long-lasting as other varieties of shingles. Tile shingles are beautiful and classic, and they are often found on Spanish-inspired homes. However, they are expensive to install and quite prone to weathering and cracking. They are best used in areas that do not experience severe winds and rain. Wood shingles are environmentally friendly and durable. They go well with natural buildings, and they age to a lovely grey-brown. However, they are also quite flammable, so it is important to consider this when thinking about how your roofing materials will fare in your particular climate. Fiberglass shingles are light and fire-resistant. They are made out of a fiberglass base layered with an asphalt coating. The classic shingle is the asphalt shingle. It combines excellent pricing with durability. If the climate experiences extreme temperature swings, you’ll need to watch for weathering of your shingles. Many asphalt shingles meet Energy Star standards for efficiency, which is helpful when you are trying to reduce your home’s environmental impact. The look of the shingle on your roof – how does it complement your home? Your new roof isn’t just a part of your home infrastructure – it’s also a part of your exterior home decorating. Whether you’re looking at your home from the yard or from the road, you’ll be able to see a substantial amount of your roof. Considering your shingle style and color is an important part of your overall home decorating plan, and since a roof should last for many years, you’ll need to put a lot of consideration into your roofing choices. Your shingle colors are a part of the overall look of your room. These colors should reflect your taste and the overall style of your home. Creating a roof that complements your home style will help you make a good first impression on those who look at your home, whether they are potential home buyers or guests. The more pitch your roof has, the more visible it will be from the street. Choose roofing that complements the look of the roof and the style of your home so that you have a visual match. What color of shingles should you use to match your home color? If you have a red home, earth tones such as dark brown and green suit red. Black and grey make a striking contrast to your home color. Light grey homes match darker grey roofs, or they also suit black, green, blue or white. Brown homes and brown roofs go together, and brown also matches earthy greens and greys. White homes match most colors of roofs, including brown, grey, green, black, white, and blue. Wooden siding matches earthier tones such as brown, green, grey and black. Cream-colored or beige homes match brown, grey, green, blue, and black roofs. Consider what’s around your home when you choose shingles as well. Homes in the Pacific Northwest might choose shingle colors that blend with coniferous trees and bark, while home in dryer landscapes could consider more earthy tones. The cooler, blue light of the north and the warmer-looking light of the south strike your roof differently. Take a look at shingle samples in natural light and in different light conditions so that you know how your home will look with those shingles at different times of the day. If you’re in a housing subdivision, take your cues from the neighbors as well. If all of your neighbors have dark roofs and you have a light one, you could stand out for the wrong reasons. Some shingles have algae resistance built in. This helps reduce cleaning and helps them last longer without getting damaged and discolored. Some shingles have a lower environmental impact than others. This might include shingles like organic shingles, for example. However, you also need to consider how frequently you need to replace the shingles as well. Light-colored shingles bring a unique home cooling advantage. They reflect light and can actually keep your home cooler inside, reducing your energy costs and the environmental impact of those cooling costs. However, many other factors also impact your cooling costs, so if you can’t have a lighter roof, you can focus on those factors such as your home’s insulation and ventilation. While lighter-colored shingles can get stained by algae over time, there is now the possibility of getting algae-resistant versions so that your roof does not get stained. Some states now encourage or require lighter roof colors to reduce home cooling costs during the summer. Some shingles such as asphalt shingles are also rated by Energy Star. Check with your shingle supplier and ask for environmentally-rated products. The shingles you choose depend on the color of your home. How Long Will Your Shingles Last? When you’re buying anything for your home, considering how long you will be able to wait before you buy another one is always a consideration, whether you’re purchasing a new car or new shingles. Finding the right shingles can be challenging, especially since it’s not a single decision. You need to consider the color and style of your shingles, but you also need to think about the longevity of the shingles. How can you aim for longevity? Consider the shingles that fit your climate. For instance, if you have a lot of fires, then wood shingles might not be the best choice for your roof. 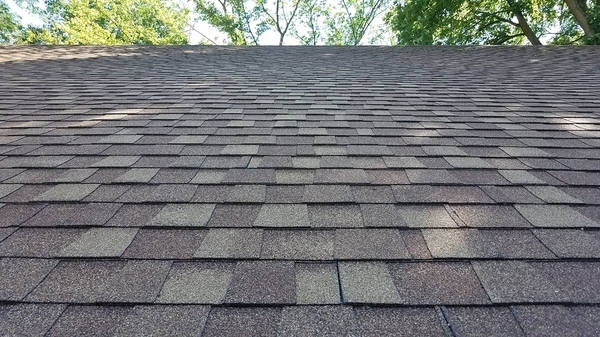 Determine how long your shingle type usually lasts. This varies according to the type of material you have chosen. For instance, asphalt shingles are relatively sturdy compared to tiles and slate. Think about ways to protect your shingles. Are you able to add gutter heating and a gutter cover to your roof, for example? Maintain your garden in a way that protects your shingles. For instance, you should prune trees so that they don’t drop branches on your roof. In any category, cheap shingles will likely not last as long as higher-grade shingles. Consider your shingles’ warranty. Are your shingles warrantied for both the product and the installation? At Harry Helmet, we have a triple lifetime warranty so that you know that your home is completely protected.